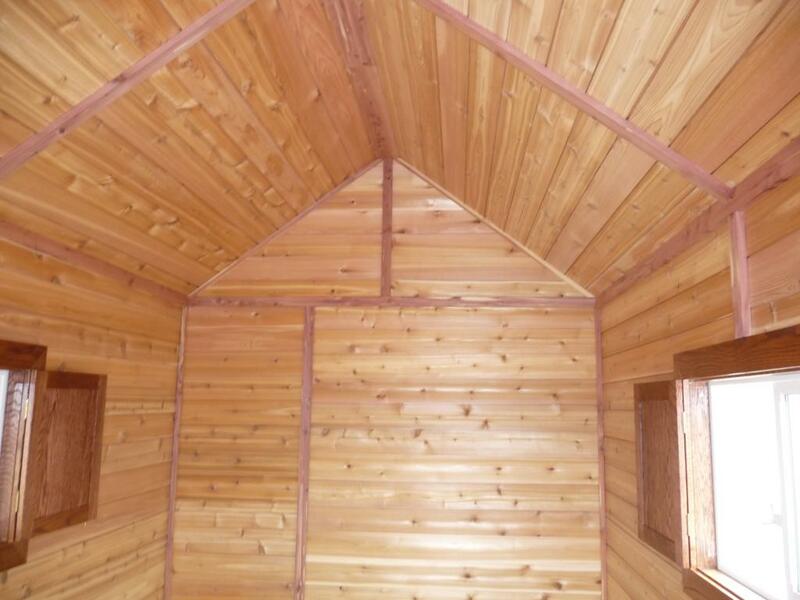 Here are some pictures of the interior as I was applying the siding and trim. 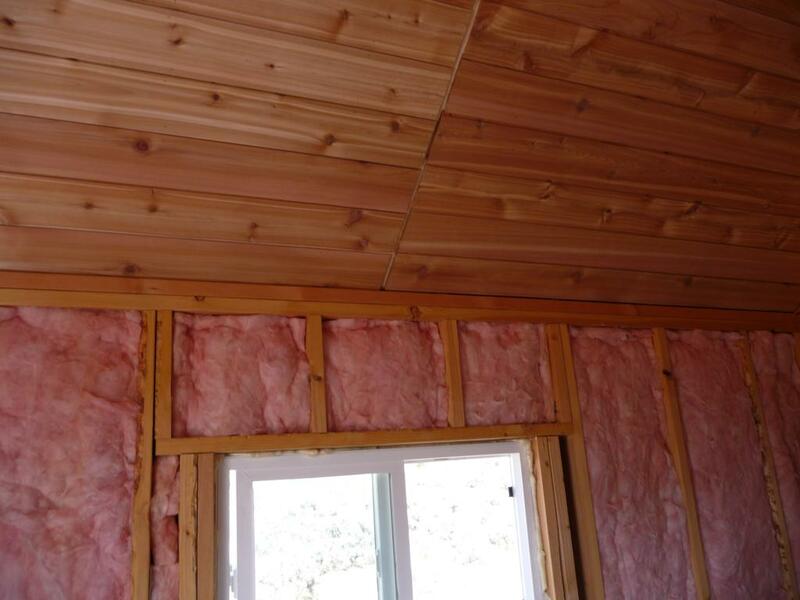 The siding went on all the walls and the ceiling and entire mini-cab is insulated with fiberglass insulation. 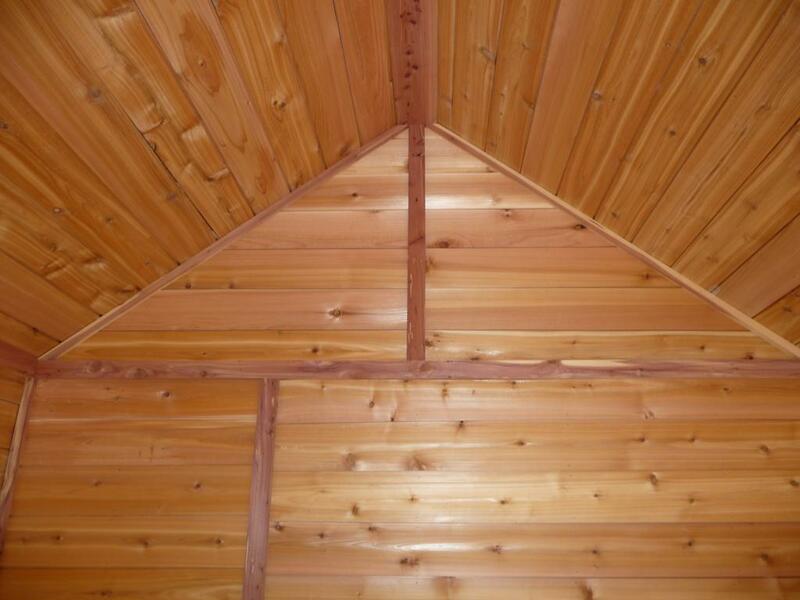 For the trim, I used red cedar from the local hardwoods dealer which I cut to the required sizes. 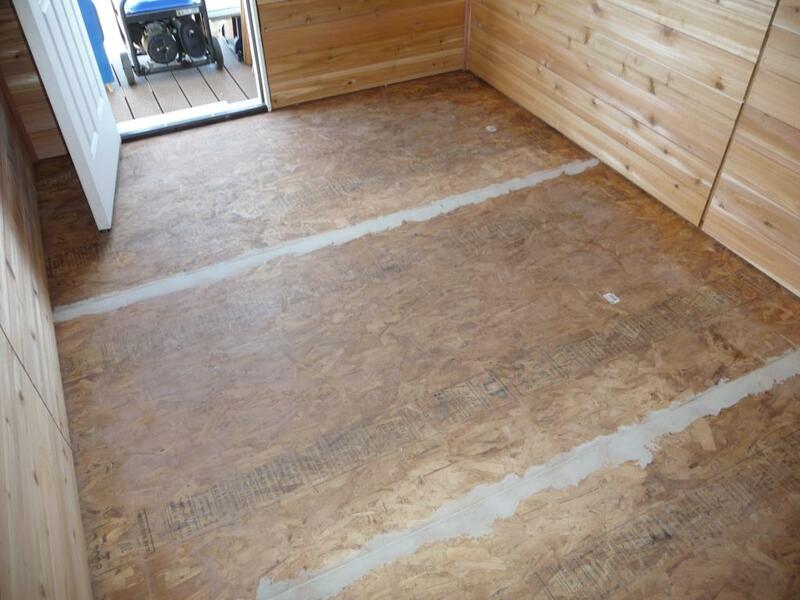 I used some floor patch to smooth out the gaps in the subfloor and laid some indoor-outdoor carpet on the floor. 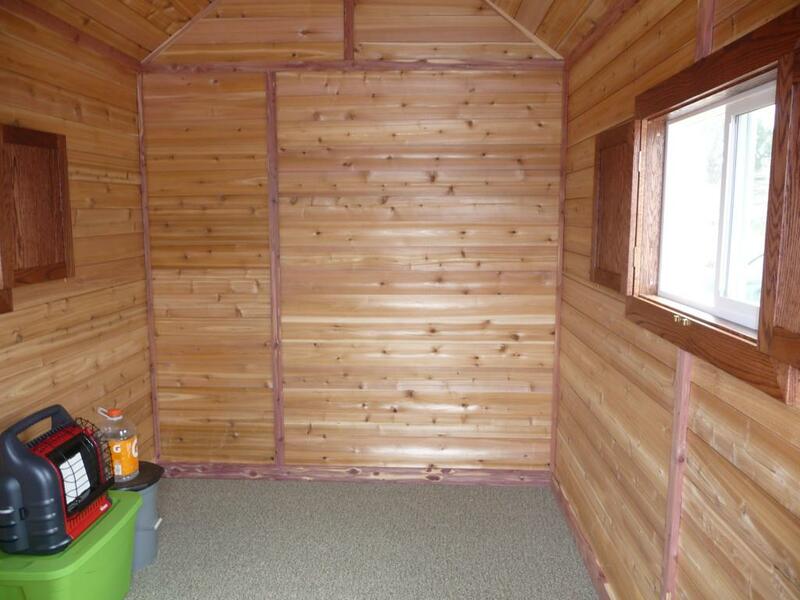 The carpet cost about $60 and it's glued down to the subfloor using a mastic-like glue spread with a notched trowel. The trim work went fairly quickly. I cut a bunch pieces at home to the dimensions I wanted and just cut them to length on-site with the chop saw. 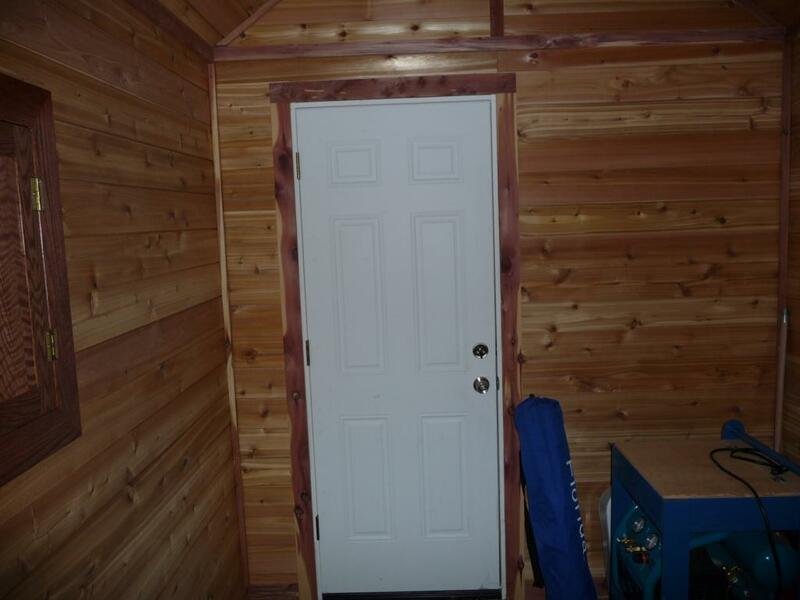 I used a finish nailer to attach all the siding and trim. 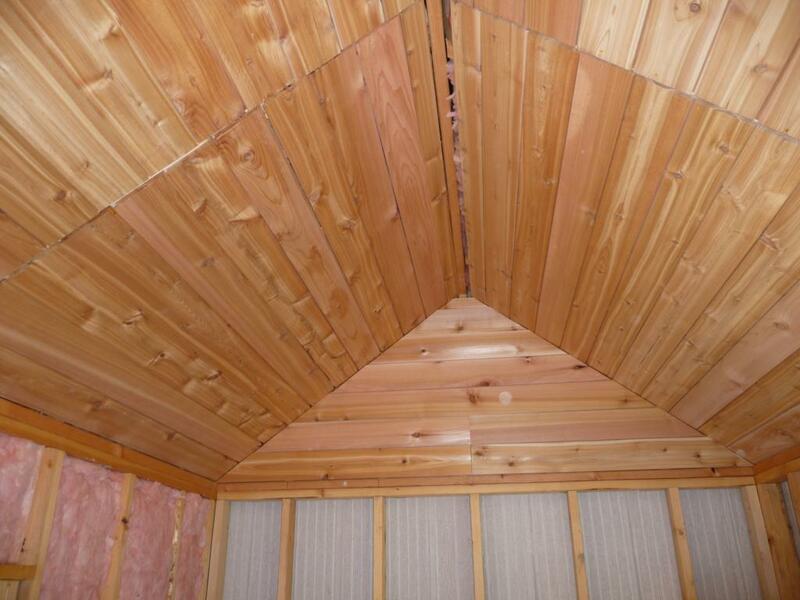 The red cedar trim was a lot more figured than the cedar siding and provided a nice contrast.